Bilateral encounters between national teams are often named after legends to have been produced from those countries – like Allan Border and Sunil Gavaskar still embody the spirit of Australia-India clashes, like Nelson Mandela and Mahatma Gandhi’s names were on the trophy for which India and South Africa were vying for last year. According to reports, not-so-long-ago retired captain Sourav Ganguly is set to feature as a legendary name inscribed on a trophy for an upcoming tournament. Bangladesh are set to tour India for a one-off Test later this year, around September-October, for what will be their first ever Test tour of the country. 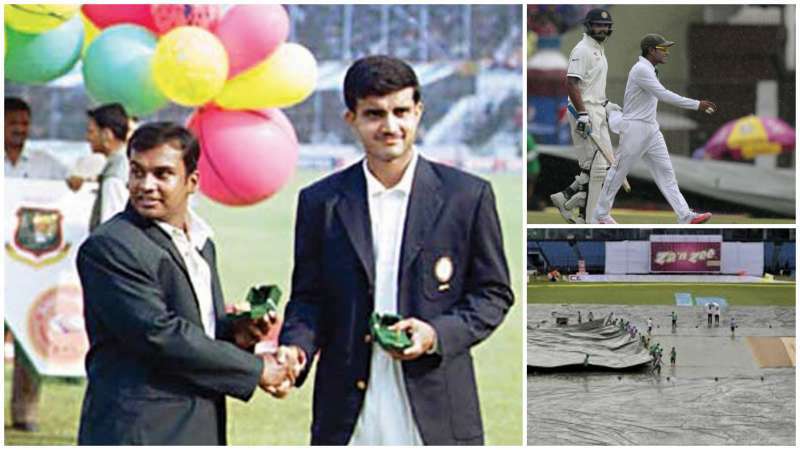 There have been demands that the series, which will see a reprise in 2020 when India tour Bangladesh, be named after two retired captains from the two countries – Sourav Ganguly and Naimur Rahman Durjoy. The reason for this naming would be quite poignant. Bangladesh’s first Test captain, after they had received Test accreditation from the ICC in 2000, had been Durjoy. 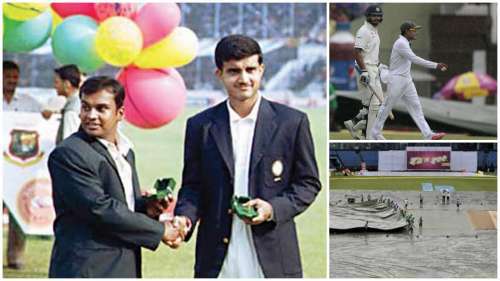 Bangladesh had played their first ever Test at the Bangabandhu Stadium in Dhaka, against an Indian side led by newly elected captain Sourav Ganguly. A lot of water has flown between the two countries since then, and Ganguly has now earned a reputation as a shrewd administrator, while Bangladesh have gone from strength to strength in world cricket – including in its longest format. Durjoy had taken 6 wickets in India’s first innings in the first ever Test for his country, but a subsequent loss of form had seen him lose not only his captaincy, but also his spot in the side next year. Neighbouring countries Bangladesh and India can be expected to play a lot more Test cricket from now on, and the 2016 match, which is supposed to be held at the Eden Gardens, Ganguly’s home ground, could be a harbinger of more auspicious relations between the two nations. It had earlier been reported that Bangladesh are also considering the option of playing a few ODI and T20I games in India as well, along with the solitary Test.